When you work with our local experts, you can find the best lofts in Dallas for your lifestyle. For instance, the Cedars and Deep Ellum neighborhoods are great for artists and musicians. History-lovers will enjoy some of Dallas's historic lofts, including one that used to be Jack Ruby's speakeasy and gambling room. The lofts in Dallas, TX, run the gamut, from the traditional warehouse lofts at 2220 Canton to 3030 Bryan's modern luxury lofts. Dallas is a popular place for loft living, and we can help you locate one with the amenities that are right for you. You can also search for lofts by area on our Downtown Dallas Lofts page or our Uptown Dallas Lofts page. These are the real deal: authentic Dallas lofts for sale created from historic warehouse buildings. 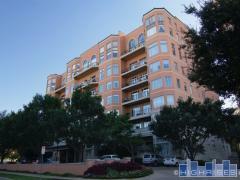 Many of the lofts for sale in Dallas, Texas, are large, open spaces that can be divided into living/work areas. To tour our available warehouse lofts in Dallas, TX, contact us today to connect with an agent and arrange a showing. Commonly called "soft lofts," these loft buildings are relatively new, and most have luxury amenities like granite countertops, stainless-steel appliances, hardwood floors, and insulated windows. However, they retain some of the charm of a warehouse loft with features like exposed ductwork, brick walls, and open spaces. If you would like to check out some of our featured lofts for sale in Dallas, Texas, call Emily at 214-225-3660.